MegaSaw is a specialist in matters concerning concrete cutting, sawing, drilling and grinding. Stemming from the Smith & Osborne group which has been providing specialist concrete services for over 40 years, MegaSaw carries on to provide high-quality concrete services in Flemington, Victoria. 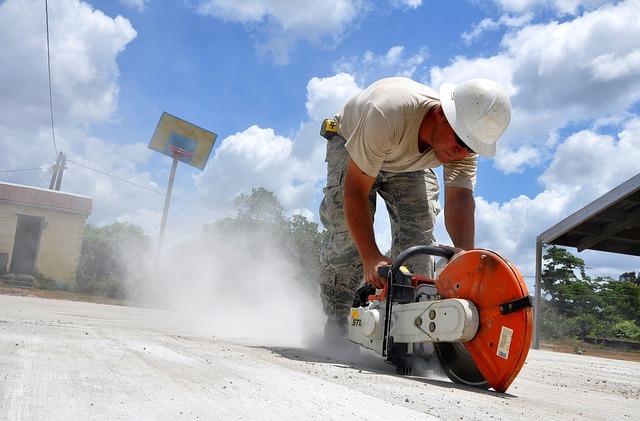 Suffice to say, we are experienced, and our specialist expertise makes us the best concrete cutting Flemington company to turn to for any concrete services. In the provision of these services, we do not only rely on experience alone. We make use of leading edge equipment to carry out the tasks we are charged with by our clients. In this regard, we only acquire technology that meets stringent internal considerations and the golden industry standards. We go the extra mile of researching on the equipment that we purchase thus ensuring that every piece of equipment we have and use is up to the task. Consequently, we are always in a position to meet all our customers’ needs regardless of the environment and or complexities. At MegaSaw, we understand that customers require quality services, delivered on time and in a cost-effective manner; all these while keeping our operations’ environmental impact to the minimum. To this end, we strive to meet all project targets and timelines of your concrete cutting Flemington project by planning ahead and working diligently until the project is completed. As for environmental protection, we make use of our vast experience to ensure that we negate the impact of our activities to least possible. The same case applies when it comes to safety issues. We use our experience and knowledge to reduce site hazard and risks, thus ensuring that your project goes on unimpeded and smoothly.